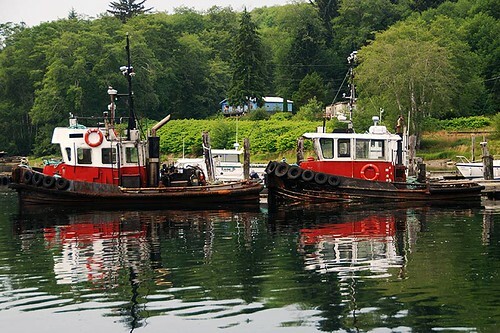 Now a hub for marine traffic, Coal Harbour was once a thriving whaling station, the last one on the North American coast when it closed in 1967. Then, in the 1970s it became a mining town again when the Island Copper Mine was in operation until it closed in 1996. Today the residents rely on fishing, logging and acquaculture. During World War II, the village was a bustling base for the Royal Canadian Air Force and their “flying boat” coastal reconnaissance missions. 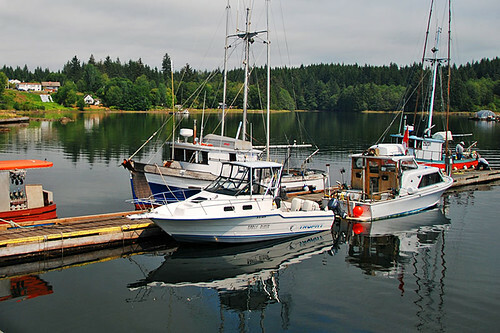 Location: Coal Harbour is located southwest of Highway 19 on northern Vancouver Island, near the mouth of Holberg Inlet. 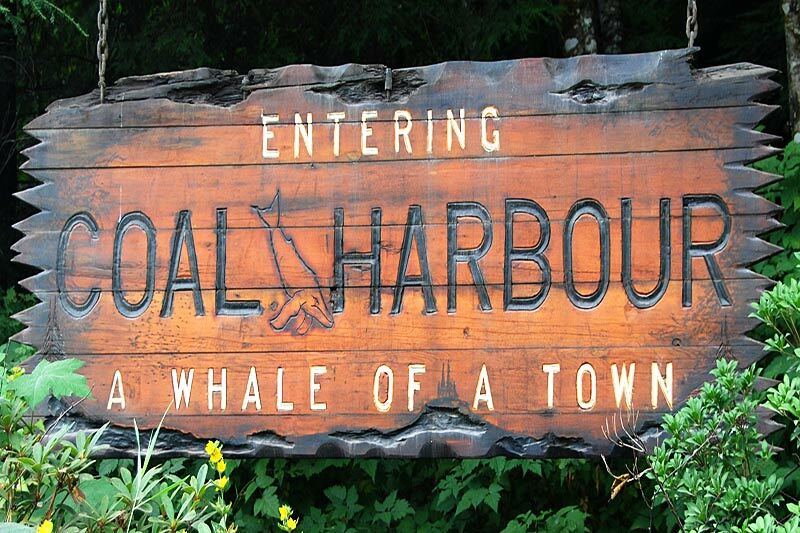 Access to Coal Harbour by road is from Port Hardy. Coal Deposits were investigated in the area between 1883 and 1885. The coal was of poor quality, and the mines were soon abandoned, but the name Coal Harbour stuck. Don’t miss an unusual monument in Coal Harbour: the enormous jawbone of a blue whale. At almost 7 metres long, the jawbone is the largest in the world. A massive, 350-metre deep hole at a local open-pit copper mine was the lowest point on the earth’s surface before being reclaimed and filled with water in 1996. 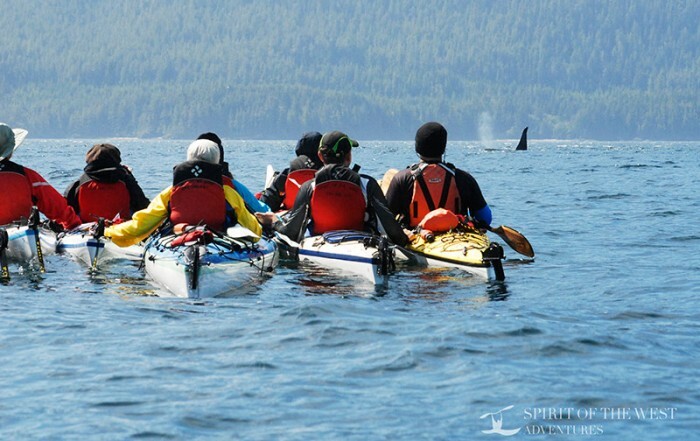 Outdoor Adventure: Visitors can enjoy many outdoor activities such as camping, kayaking, hiking and wildlife viewing. 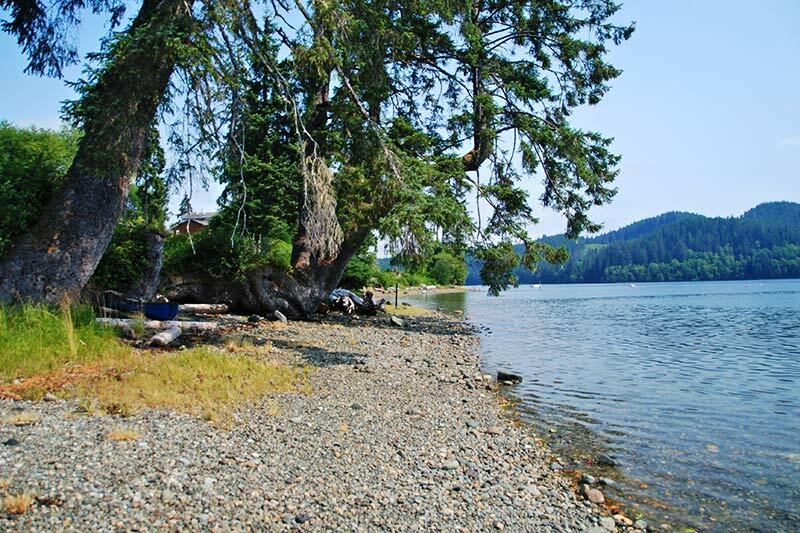 Quatsino Provincial Park is located on northern Quatsino Sound. 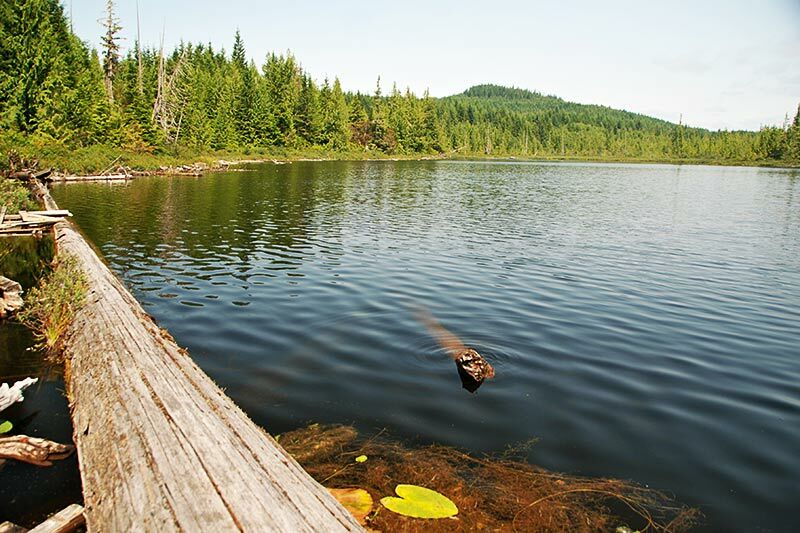 This 654-hectare undeveloped park contains known archaeological sites and protects a mature forest, some small lakes and the sheltered inlet of Koprino Harbour. The Koprino River estuary is noted for its critical fish rearing and waterfowl habitat, and is a popular eagle viewing area. 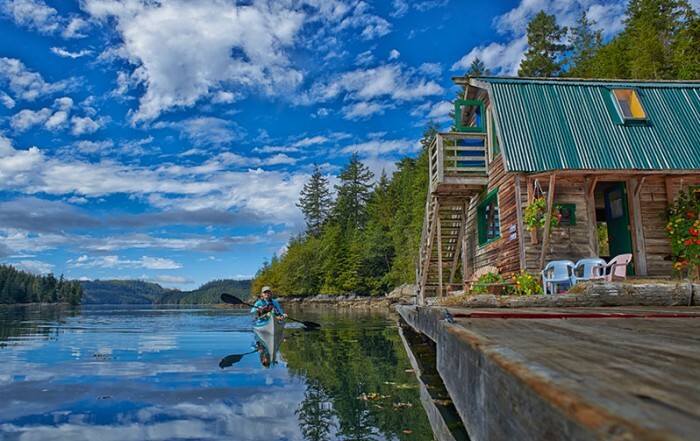 Quatsino Provincial Park can be reached by logging roads from Holberg or by boat from Winter Harbour, Coal Harbour or Port Alice. 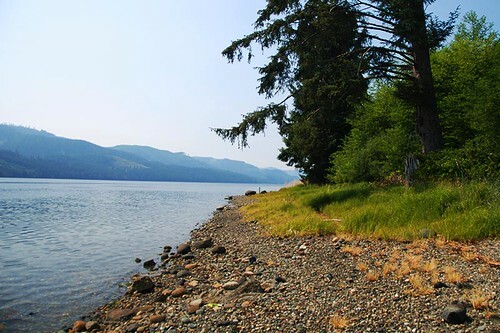 Lawn Point Provincial Park is located south of Quatsino Sound, which is only accessible by boat from Coal Harbour. The 560-hectare wilderness park has no facilities, and protects unique geological and botanical features, as well as endangered old-growth forest, rocky shoreline and intertidal beach. The north coast extends about 11 miles from Cape Scott to the park’s eastern boundary. It features three large bays at Experiment Bight, Nels Bight, and Nissen Bight, where backcountry explorers will find white sandy beaches. The western (Pacific) coast is vunerable to southwesterly storms, which makes it a more rugged, exposed shoreline. The three sandy beaches here at Guise, Hansen, and Lowrie Bays are smaller than the northern ones and are separated by long stretches of rocky coast. 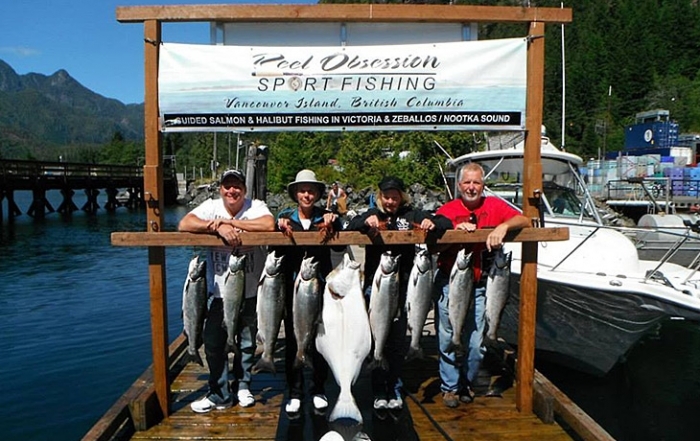 Cape Scott’s strategic location means that it is a natural gathering place for migratory birds. The park is also home to both wolves and bears. 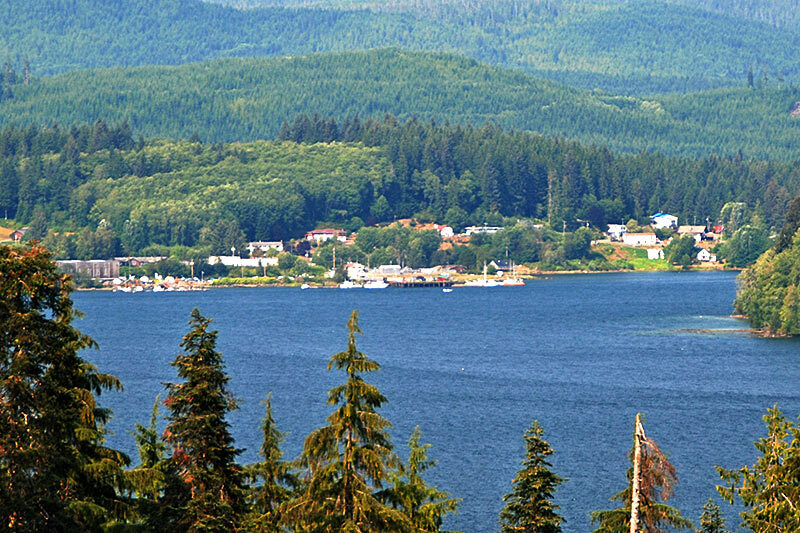 The tiny, off-the-beaten-track hamlet of Quatsino was first built in the 1800s, when the government issued crown grants to attract new settlers. 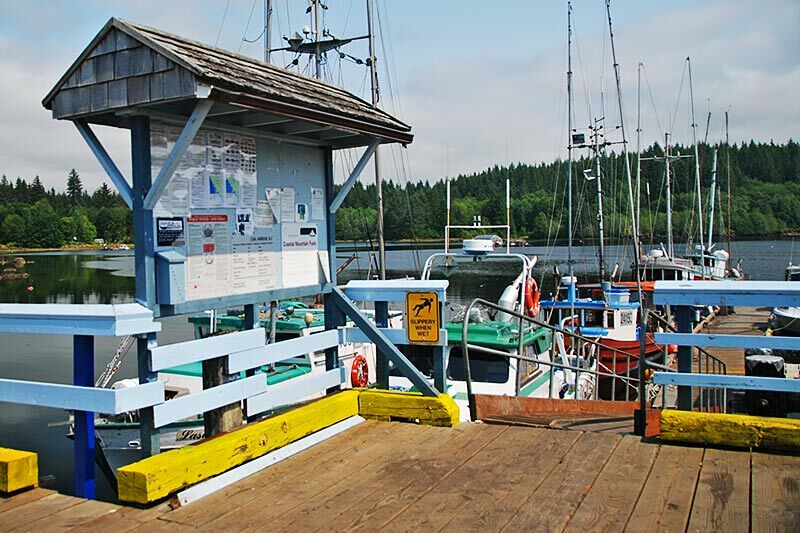 Accessible only by water or floatplane, you can use your own boat to get there or take a convenient water taxi from Coal Harbour. 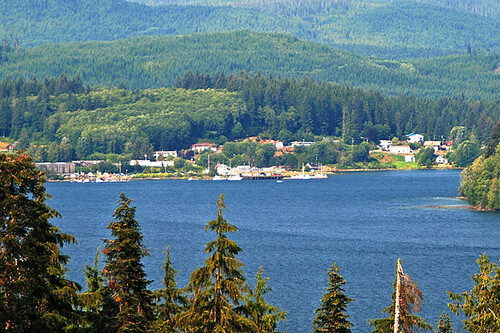 Port Hardy is the largest community of the North Island, located at the northern end of the Island Highway, east of Coal Harbour. Travellers arriving in coal Harbour by road will turn west of the Island Highway just south of Port Hardy. 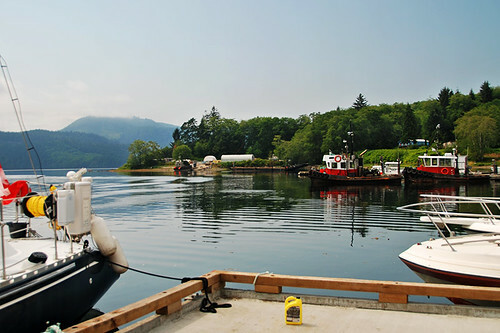 Quatsino Sound is a huge sound providing water access from Coal Harbour to the communities of Quatsino and Port Alice. Quatsino Sound leads in from the Pacific Ocean, almost separating the northern tip of the island from the rest of Vancouver Island.